Mother’s Day imagery is usually pretty saccharine, right? Delicate flowers, china teacups, precious jewelry. So I can’t really explain why, when faced with the task of choosing a cookbook for a Mother’s Day giveaway, I went with simple, pragmatic, and unpretentious. Maybe it’s because my mother was all of those things. Or maybe it’s because that’s what I strive for in my own mothering. Or maybe it’s because the job of being a mom can be so utterly crazy-making, that I know the last thing a mom needs is a fussy, fancy cookbook! Whatever the reason, this month Plan to Eat is celebrating the rustic, apron-clad, flour-dusted, wooden-spoon-wielding mothers of the world. Whether that’s you, or your mom, or your grandmother (or the grandmother you wish you had) you’re going to love what we have for you in our latest home-cooked-Italian inspired giveaway. 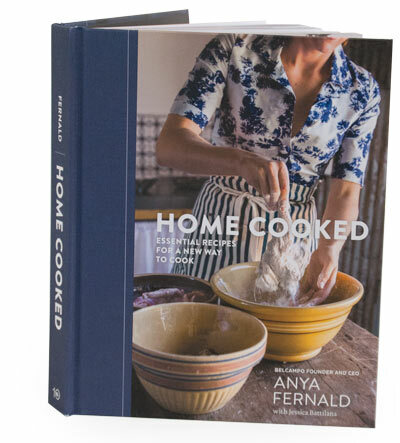 As soon as I saw the yellow-ware bowls and flour dredged chicken on the front of Anya Fernald’s new cookbook, Home Cooked, I knew this was a book that belonged on my shelf. Anya’s food career has had a lot of breadth, taking her at various times to Sicily, Italy, Belize, Uruguay, and Montana. The influence of these cultures is obvious in her simple, old-world approach to cooking: use good ingredients, prepare them simply with basic tools, and serve with love. Home Cooked covers everything from snacks (Olive Oil Crackers), starters (Bright and Fresh Tomato Soup), and cocktails (Peach Shrub); to main dishes of pasta (Tajarin with Sage and Butter), meat (Wine-Braised Brisket), and veggies (Artichokes with Lemon and Mint); to desserts (Buttermilk Panna Cotta). And Anya does it all with a rustic, peasant flair that is ever-so-cozy and inviting. Wooden farm tables, cast iron skillets, wood fires, and hot coals. This is Anya’s kitchen. And yet, while creating recipes for these once-common peasant foods, Anya maintains a sense of erudite, foodie knowledge. Ever wanted to make your own sausages? Anya shows you how. Wanting to know how to prepare sweetbreads, beef heart, or chicken livers? She can teach you that. What about getting started making your own rustic pasta? Yep. She does that, too. True, it’s a lot of dishes. But because they are all so simple and much of the work can be done in advance, it was really no trouble. 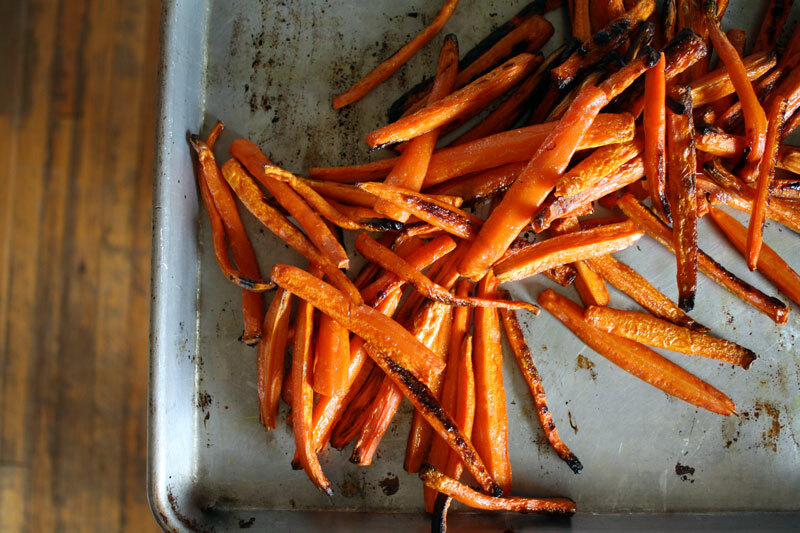 Simple ingredients, simple preparation, simple methods. I whipped out an entire feast for my family with not much more effort than I would spend on a single elaborate dinner dish. True, the dish doesn’t inspire the most attractive food photography (I did my best) but this food isn’t meant to be photographed. It’s meant to be eaten. With your fingers. Swiping the bottom of the bowl for the last bit of that amazing gravy. 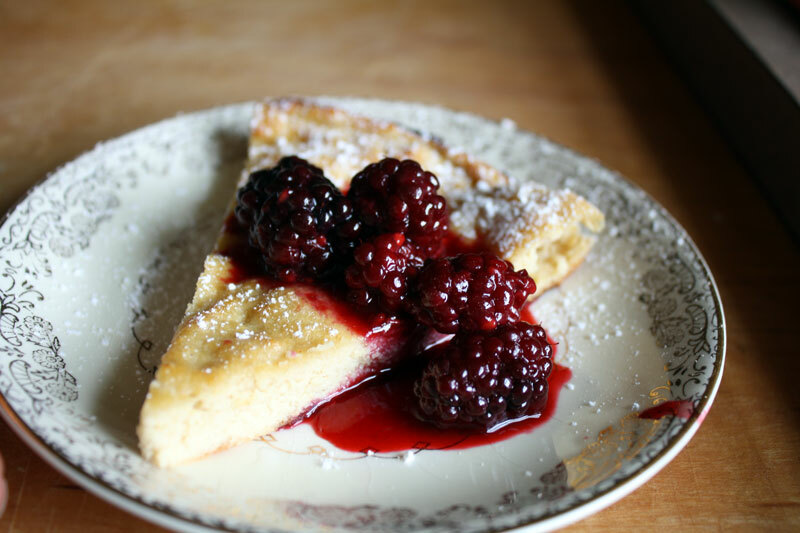 This menu is sure to become a classic in our household, repeated over and over again. I admit to having difficulties sourcing some specialty Italian ingredients. Salt-cured anchovies, for example, seem to be non-existent in the Rocky Mountains. Go figure. I thought that spending lots of money to have specialty ingredients shipped to me from across the country seemed contradictory to Anya’s rustic locavore mentality, so I went with the ingredients that were available to me (tinned anchovies, jarred capers…) If the flavors suffered at all, well, certainly no one at my table noticed. In the spirit of Anya’s philosophy of cooking with great ingredients, we wanted to give you a few excellent ingredients essential to pulling off many of the recipes in Home Cooked. First is a box of Maldon sea salt flakes. Think of salt like you (hopefully) think of olive oil. A virgin olive oil from a giant bottle at Costco will work great for most cooking purposes. 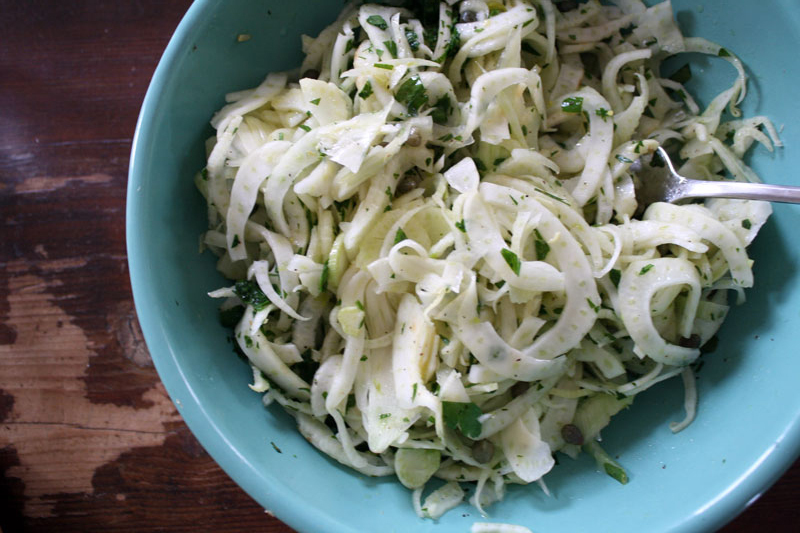 But when it comes to finishing a raw salad, you want to use a delicately flavored, higher-end extra virgin olive oil. Maldon salt works the same way. 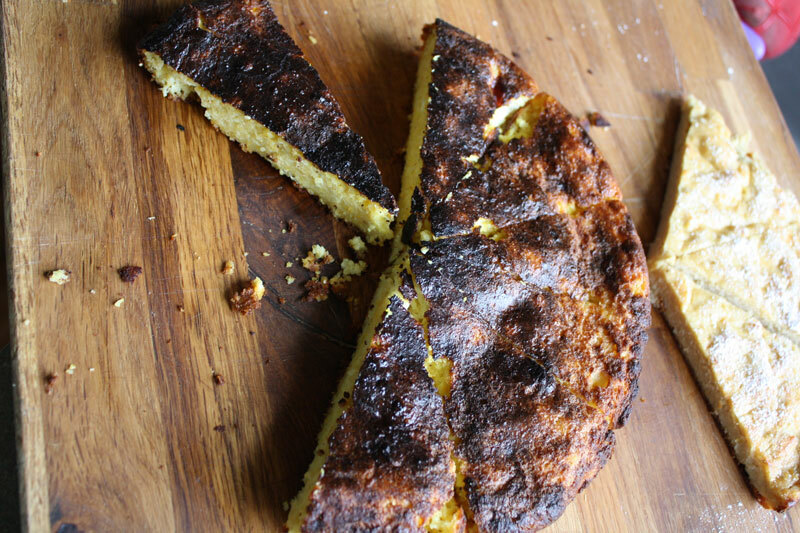 Use a can of Morton for baking or braising or boiling, but for heaven’s sake don’t sprinkle it on your focaccia. Use the Maldon. We’re also including a pepper grinder with fresh peppercorns (because the difference between bottled ground pepper and fresh ground pepper is like….the difference between table salt and flaked sea salt on focaccia). And finally, a box of juniper berries, which are a unique flavor called for in several of Anya’s recipes and might be hard to find in your local grocery store. 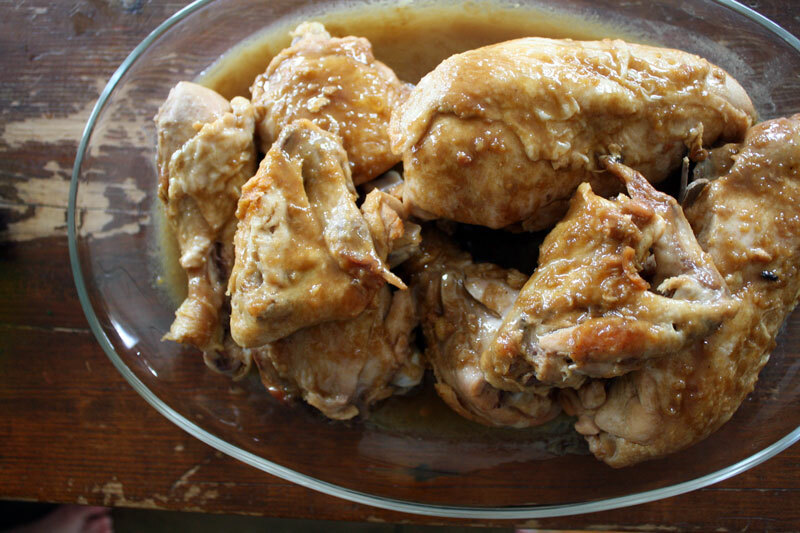 Most of the recipes in Home Cooked do not require any special equipment beyond a sharp knife and a cast iron skillet. There is one essential dish however which is greatly improved with the assistance of a specialty item. Pasta. Yep, if you want thinly and evenly rolled and cut pasta, and you don’t have 40 years of experience with a rolling pin or two dozen grandchildren to cheerfully eat all that “practice” pasta, you’re going to want a pasta machine. Don’t worry. We’ve got you covered. Along with Anya’s new cookbook and the essential ingredients, we’re including a high-quality Atlas 150 pasta maker. So you can whip out some Maltagliati or Tajarin any old weeknight you choose. Along with being a fabulous cook and a loving momma, Anya is also a business owner. Yeah, she’s kinda busy. In 2011 she co-founded Belcampo, a unique business whose purpose is to provide consumers with pasture-raised organic meat. If you live close to one of Belcampo’s butcher shops or restaurants, lucky you! You should pop in and sample a to die for Roast Pork Cubano or a Reuben Sandwich. If you’re living, like me, in a land far away from such offerings, you can order the more shippable items online—salami, pepperoni, jerky, etc. Belcampo has generously provided our giveaway with a huge canvas tote (perfect for all of your trips to the meat counter or to the farmer’s market) and a trio of balms made with their grass-fed beef tallow. You get one each of Juniper Balm, Bergamot Balm, and Peppermint Lip Balm. • If you don’t see an entry form above, please click here to enter. •• Due to international laws we can only offer this giveaway to US residents who are 18+. Please accept our apologies if you are not able to enter!